Doom Guy is back with an eternal fury. Here's everything we know from the QuakeCon 2018 trailers. Anyone who played Doom 2016 will be quick to remind you that its demon-punching action made for one of the best FPS campaigns of the last few years (the other top dog being Titanfall 2 of course). Meaty weaponry and the brutally visceral Glory Kills coalesced into an incredibly satisfying combat loop, and the compact length of the campaign only left us longing for more. Thankfully, id Software felt the exact same, and at Bethesda’s E3 2018 press conference we were gifted the reveal of Doom Eternal. A direct sequel to Doom 2016, Eternal only received a teaser during E3, but thankfully We've now seen the game in glorious action thanks to the QuakeCon 2018 gameplay trailer. New weapons, new movement abilities and new enemies abound and we can't wait to get stuck in. For some of you the knowledge that you’ll be able to shotgun countless demons once more may be enough, but others of us are desperate to slake our thirst for Doom Guy action with more information. Here’s absolutely everything we know about Doom Eternal so far. When and Where is Doom Eternal Set? Doom Eternal is a direct sequel to the 2016 release, and appears to take place some time after the events of the previous game. 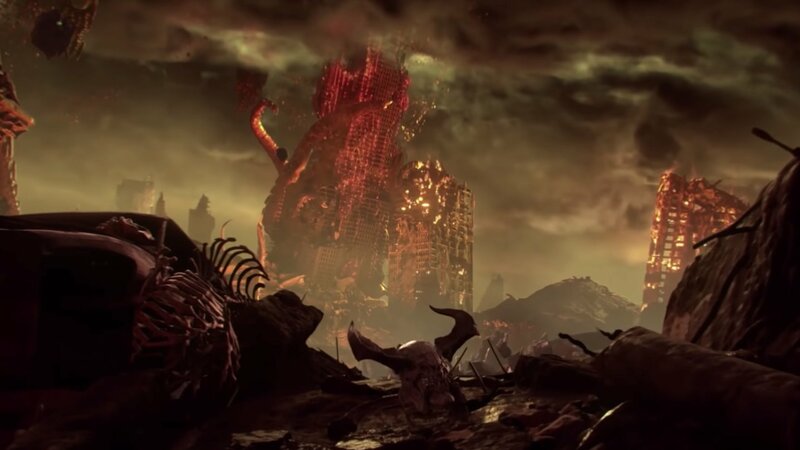 Despite Doom Guy’s best (and highly successful) efforts in slaying the various Barons of Hell, Earth has been ravaged by a demonic invasion which has left little more than a wasteland in its wake. Queue the arrival of Doom Guy, who’s turned up to shoot, punch, and rip every one of Earth’s new denizens to pieces. The E3 teaser only runs for a brief minute and a half, but in that time we get a look at a slew of new monsters we can expect to face in Doom Eternal. Panning through the urban wasteland we see tentacular horrors and what looks like a couple of updated Arachnotrons wandering about. While we’re sure your classic Imps, Cacodemons and Hell Knights will make an appearance, we also see what looks like a Baron of Hell wielding twin, flaming swords, as well as a two-armed Cacodemon-esque ball floating menacingly in the sky. The latter could well be an update of Doom 2’s Pain Elemental, or an entirely new beast altogether. Either way, we look forward to sticking our fist through its face. Our second look at the game from QuakeCon revealed a few new weapons we have access to in the game, including a blade that comes built into Doom Guy's armor. Both the Super Shotgun and Rocket Launcher have been tuned up, so it sounds like he'll be more than ready for action. Naturally there are new weapons too, including a chargeable, twin-laser ballista and a giant freaking energy sword. Can we play it yet? The Super Shotgun now comes with a grappling hook attachment which can be used to fire directly into an enemy, pulling you towards them to deal with some serious damage. Doom Guy's armor even includes a shoulder mounted rocket launcher and flamethrower, just in case firing a single weapon at a time really wasn't doing it for you. On the enemies front, id confirmed that the Arachnotron and Pain Elementals were in fact making a return, as well as showing off a new Slayer enemy that will act as an archenemy. The best news however is that they're even more destructible than before. Demons will have locational damage, letting you literally carve chunks out of them as you fight. Groovy. There are also more possessed humans appearing, which makes sense really given we're now on Earth. Combat looks as slick as ever, but you're now able to move in a huge range of new ways. As well as the grappling hook, Doom Guy can dash forward, swing from horizontal poles, climp up certain walls (and leap between them) and even punch through damaged bits of the environment to reach new areas or secrets. 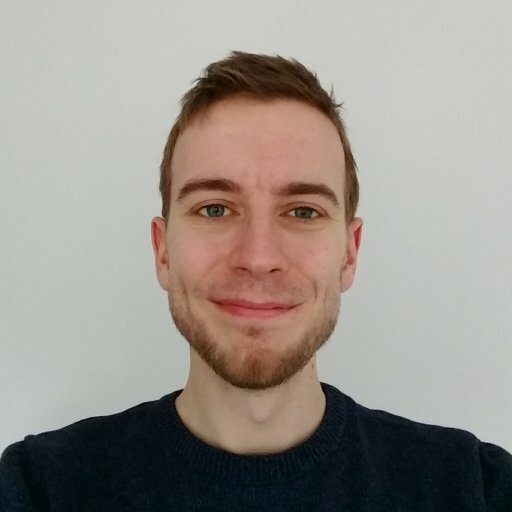 Does Doom Eternal Have Multiplayer? Doom Eternal doesn't have traditional PvP or co-op multiplayer that we know of yet, but during QuakeCon 2018, id Software revealed that players will be able to invade each other's campaigns Dark Souls-style as a demon to fight against the main player. You'll even be able to team up with friends, invading together to take on Doom Guy. If that doesn't sound like your cup of tea, id indicated it would be possible to disable the feature to let you rip and tear demons in peace. Mick Gordan, mastermind behind the Doom 2016's (and Wolfenstein's) excellent riffs is back. That's all you really need to know. What Platforms is Doom Eternal On? According to an information sheet from QuakeCon 2018, Doom Eternal will release on Xbox One, PlayStation 4, PC and yes, even Nintendo Switch. This has now been backed up by an official tweet from the Doom account. When is the Doom Eternal Release Date? As of yet, Bethesda hasn’t announced a release date for Doom Eternal, but we know it's likely to be sometime in 2019. We'll update with further details as soon as they're announced. If you'd like to watch the full QuakeCon showing which covered Elderscrolls online, Rage 2 and more, we've embedded it below.